Sept. 25 (UPI) — Target announced Monday it will begin boosting its minimum wage next month $1 to $11 per hour and is committing to a $15 starting wage by 2020. Target, the second-largest discount store retailer in the United States, increased the minimum wage last year to $10 per hour to compete with No. 1 retailer WalMart, which raised its starting pay to that level. In April 2015, Target’s lowest pay was $9. Cornell, during a media call, said he wants to be “very definitive” and “very declarative” about paying its employees. The CEO said Target factored the total unspecified wage increases into its sales and earnings outlooks. The company is also spending $7 billion to remodel stores and open new locations, including on college campuses. The pay increases will begin in October for 100,000 temporary workers hired ahead of the holidays. 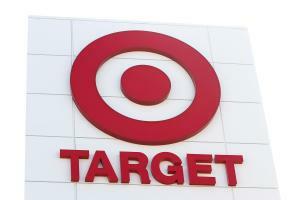 Target has about 323,000 employees at its more than 1,800 stores. Target didn’t reveal the average pay per worker. The Wall Street Journal reported in January that Walmart’s average salary is $13.69 an hour. Two states, Massachusetts and Washington, match the minimum wage of $11 per hour although some cities nationwide have even higher levels. The federal minimum wage is $7.25 per hour. U.S. Senate Democrats recently introduced a $15 minimum wage bill. Minnesota, where Target is based, will increase its minimum wage from $9.50 an hour to $9.65 an hour for large employers on Jan. 1. Minneapolis plans to boost its minimum wage to $15 for large businesses by July 2022.